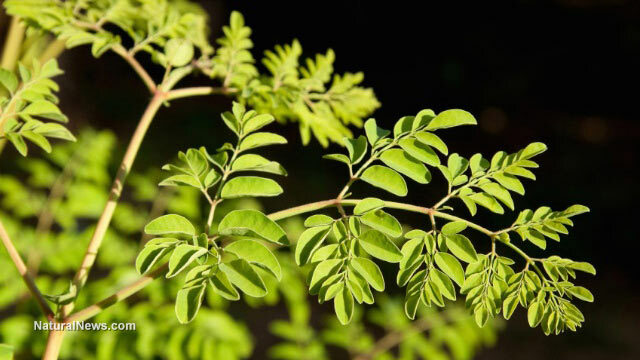 (NaturalNews) The leaves of the Moringa oleifera tree are one of Asia's most nutrient-dense foods. In fact, just one serving of these leaves in powdered form contains almost 50 types of antioxidants and almost 90 different nutrients. Unsurprisingly, numerous studies have linked long-term consumption of Moringa leaves to the treatment of countless health conditions such as osteoporosis, macular degeneration, high blood pressure, obesity and even cancer. A recent study published in the March 2014 issue of Acta Histochemica, however, suggests that we add another condition to that list: diabetes mellitus, the increasingly common metabolic disease that affects an estimated 8.3 percent of the United States population. For the study, the Egyptian researchers fed aqueous extracts of Moringa oleifera leaves to albino rats that were suffering from streptozotocin-induced diabetes. During the trial period, they monitored the fasting plasma glucose levels of the rats, as well as their levels of glutathione (an antioxidant found in Moringa that contains antidiabetic properties) and malondialdehyde (a toxic byproduct of lipid oxidation that is often found in high levels in people suffering from diabetes). At the end of the trial, the rats that were fed Moringa extracts fared far better than the control group. Specifically, the extracts reduced their fasting plasma glucose levels from 380 percent to 145 percent (i.e. their blood sugar levels were reduced by more than 2.5 times). The extract also reduced the rats' levels of harmful malondialdehyde from 385 percent to 186 percent and increased their levels of the important antioxidant, glutathione, from 22 percent to 73 percent -- a significant improvement in all three areas. "Experimental findings clearly indicate the potential benefits of using the aqueous extract of M. oleifera leaves as a potent antidiabetic treatment," the researchers concluded. Word about the "Miracle Tree" of the Himalayas has spread fast in the West during the last decade, and the natural health market is now saturated with Moringa powders, tinctures and oils. Though the manner in which Moringa is consumed isn't important, it is important that the product is (a) certified organic, and (b) wildcrafted, meaning that it has been harvested from the wild. Most Moringa products meet these criteria, but sadly some of the trees (particularly those grown in China) are now being sprayed with pesticides.